Home / Electronic Cigarettes in the Workplace? The emergence of the electronic cigarette industry has been ongoing for over 10 years although it is just over the last few years that it has really come to the attention of the mass public. While the regulators continue to argue about further restrictions on the sale of electronic cigarettes they have created a unique issue for employers and their potential use in the workplace. While many people may be a little confused as to whether smoking in the workplace is allowed or something in the hands of employers, the facts are fairly straightforward. Smoking is not allowed in any enclosed workplace, public building or on public transport in the UK and many other areas of the world. 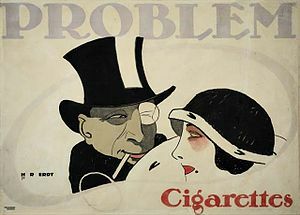 As many people still smoke tobacco cigarettes this has led to the creation of designated smoking areas and “smoking breaks”. So where does the law stand with regards to electronic cigarettes? As electronic cigarettes do not come under the smoking ban introduced by many governments around the world, legally there is no reason why employees are not able to smoke electronic cigarettes at their desk. This has presented many employers with a difficult quandary because automatically tobacco smokers expect electronic cigarette smokers to be hit with the same kind of restrictions which they experience. As a consequence the vast majority of employers around the world, where smoking bans are in place, have decided not to allow electronic cigarettes to be used in the workplace and apportion the same restrictions given to tobacco cigarettes. Whether or not you agree with this from a legal standpoint the fact remains that many tobacco smokers see no difference in theory between electronic cigarettes and their own cigarettes of choice. Indeed in many circumstances it is the need to maintain harmony within the workplace which has led to the various restrictions in place for electronic cigarettes in the workplace today. The employment market is a legal minefield at the best of times although when looking at issues such as electronic cigarettes and whether or not they are permitted in the workplace, there are many issues to take into consideration. Each and every employer must have a watertight company policy on issues such as electronic cigarettes, tobacco cigarettes and other substances which are legal outside of the workplace but may have restrictions within the working environment. These company policies will probably be included in existing drug and alcohol policies although the potential impact on an individual from electronic cigarettes compared to alcohol is not comparable. Indeed it is also vital that employers clearly spell out any restrictions and possible disciplinary action should company rules be broken. The simple fact is that unless it is official policy, part of a legally binding agreement between employer and employees, there could well be potential issues further down the line. While electronic cigarettes are not marketed, and cannot be marketed for legal reasons, as a replacement for tobacco cigarettes there is no doubt that many tobacco smokers do find them useful in their fight to reduce their tobacco intake. This also gives employers another potential headache because there is the possibility to reduce smoking breaks by offering support to employees which could for some people take in electronic cigarettes. This could also relate to nicotine patches and other addiction treatments which many employers offer in this day and age to benefit both their employees and the company. On the surface the issue of electronic cigarettes in the workplace does seem fairly straightforward although this will depend upon which side of the fence you are standing. Once you start to dig deeper, it can become a little more complicated and it will be interesting to see how the business arena reacts to the ongoing popularity of electronic cigarettes and specifically their use in the workplace. At this moment in time the legal restrictions applied to electronic cigarettes are not comparable to tobacco cigarettes and this has left a void for many companies to address. The likelihood is that in order to maintain harmony within the workplace, many employers will decide to group tobacco cigarettes and electronic cigarettes in the same bracket for the purposes of use in the working environment. This policy will need to be backed up by an array of legally binding arrangements, policies, etc, between employees and employers with the danger of potential conflicting issues further down the line. It will be interesting to see how employers react to the ongoing popularity of electronic cigarettes and the vastly different regulatory environment at the moment. Perhaps many employers will be secretly hoping restrictions which apply to tobacco cigarettes will also apply to electronic cigarettes in the future, as this would take away the dilemma they have been forced to address. Mark Benson works for UK electronic cigarettes retailer OKCigs looking after the company's online promotion and social media strategy. The subject of electronic cigarettes has been in the news for some time and there are many mistruths and misunderstandings with relation to their legal standing and regulatory issues.